In the event of any discrepancy between these Terms and Conditions and any other Bunk Campers literature, the provisions of these Terms and Conditions apply. ‘Bunk Campers’ means Bunk Campers Limited, Cyril Johnston Complex, Ballynahinch Road, Belfast, N Ireland, BT8 8DJ. ‘DRIVER / HIRER’ means the person(s) nominated as the driver(s) under the RENTAL AGREEMENT. 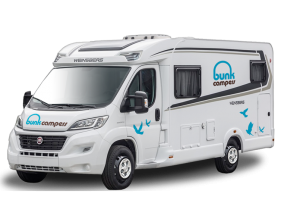 ‘BUNK CAMPER’ means the vehicle under hire as described under the heading ‘Vehicle Details’ under the ‘Rental Agreement’ and includes tyres, tools, accessories, living equipment and any other special equipment, documents relating to the vehicle and any replacement or substitute vehicle provided by BUNK CAMPERS. ‘RENTAL AGREEMENT’ means the document read and signed by the hirer on collection and return of the vehicle. It includes details of ‘Customer’, ‘Vehicle Details’, ‘Rental Period’, ‘Collision Damage Waiver’, ‘Departure Checklist’. Reservations are booked and paid for in full by hirer at the time of booking on bunkcampers.com or by calling +44 (0) 2890 813057. All prices quoted and charged in the local currency of the depot. Payment is only accepted by credit card (Visa or MasterCard) or debit card (Visa Debit or UK Maestro). Please note, we do not accept American Express. A reservation is only binding after it has been paid in full and confirmed by Bunk Campers. Bunk Campers terms and conditions and cancellation policy apply from this point onwards. Bunk Campers are not responsible for any fluctuations in exchange rate or international banking fees imposed by your bank which affect the final cost deducted from your bank account. Vehicles will not be released without full payment being received. * excluding any insurance loading. Extra charges may be incurred if the driver to be insured has a driving conviction, is a young or senior driver or is in an occupation which is deemed high risk. These charges will be passed onto the customer. See Section 5c for full details. ** Bunk Campers will supply full breakdown cover to cover any mechanical faults to the base chassis of the vehicle. Any call out charges necessitated by the client through operator error, e.g. a flat vehicle battery etc will be the responsibility of the client. ‘Hire Period’ refers to the dates agreed in the Rental Agreement. Rental is charged on a per day basis. Hires shorter than 7 days in high season may be available on a request basis and/or subject to a surcharge. Bunk Campers reserves the right to increase the minimum rental period for certain events. Driver(s) must hold a full valid manual driving licence for at least 24 months that entitles them to drive a UK category B vehicle up to 3500kg GMVW. Drivers holding an automatic transmission licence only cannot drive any of our vehicles. UK, EU, EEA, Canada, Australia, New Zealand, Republic of South Africa, Singapore, Japan, Brazil, Argentina, Russia, Malaysia, Hong Kong, China & USA. We are unable to provide insurance for any driving licence not listed above. Any bookings made with driving licences not covered in section 4 will have to be cancelled. Standard driver insurance is available on all vehicles for drivers aged 25-69. Senior driver insurance is available for drivers aged 70-74. Drivers age must be declared at time of booking and additional premium paid. See website for current pricing. Young driver insurance is available for drivers aged 21-24 on the Roadie, Nomad and Ranger campervans only. Driver’s age must be declared at time of booking and additional premium paid. See website for current pricing. All drivers must be present for collection of the motorhome. No exceptions can be made. All drivers must provide two separate forms of photographic identification on collection of the vehicle otherwise hire will be invalidated i.e. : valid passport and driving licence. Your driving licence must be at your current address. If not, then in addition to this we require 2 alternative proofs of identification i.e. : a utility bill and bank statement dated no more than 60 days old which has your name and current address listed. If you have a GB driving licence, we require you to log in to the DVLA website and check the counterpart of your driving licence. Your rental will be cancelled without refund if we are unable to DVLA check your driving licence details. If you have a Northern Ireland driving licence, we require both the photo card and the paper counterpart. You must declare at the time of booking if there are any endorsements on your driving licence. Bunk Campers may not be able to provide cover for you to drive the vehicle if you have certain endorsements imposed on your driving licence. Charges apply for penalty points. Failure to declare any accidents or driving convictions invalidates insurance. Maximum of 3 additional drivers per rental. Drivers are liable for any legal penalties (parking fines, speeding tickets, etc) incurred during the hire period. An administration fee of £45/€50 applies to all penalties received by Bunk Campers. Drivers who have not held a full valid driving licence as outlined above for at least 24 months. 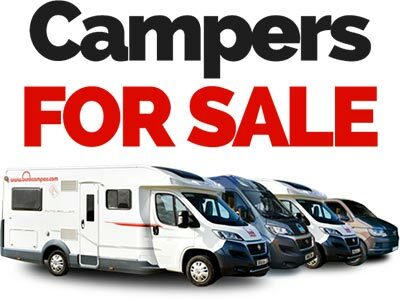 Should any driver fail to present all the correct documentation and identification on collection of the vehicle or the documentation does not meet the driver requirements set out in the terms and conditions, then Bunk Campers will be unable to release the vehicle. No refunds will be given. Persons who have been convicted of an offence in connection with the driving of a motor vehicle or motorcycle and/or have had their driving licence endorsed or suspended or more than 6 penalty points imposed. “Spent convictions” covered by the Rehabilitation of Offenders Act of 1974 may be disregarded. Persons who have had their insurance declined and/or renewal refused and/or special insurance imposed as a result of claims experience and/or have had their insurance cover cancelled by any motor insurer. Persons engaged wholly or partly in professional entertainment or professional sportspersons. Jockeys and persons connected with racing, gaming industry or press of any sort. Persons who, whilst driving, have been involved in more than one incident during the past 3 years. Foreign service personnel other than persons holding a full UK/EU/EEA/Canada/Australia/New Zealand/Republic of South Africa/Singapore/Japan/Brazil/Argentina/Russia/China/USA licence for at least 2 years. On all cases, the insurance company has the final say. 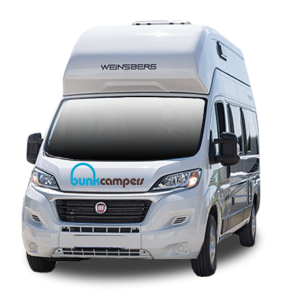 Fully comprehensive insurance is provided by Bunk Campers through our insurers for the driver(s) named on the rental agreement (provided all the personal informed supplied is correct). Named drivers are subject to the criteria outlined in section 4. Only persons named on the Rental Agreement are insured to drive the vehicle. The vehicle is insured for damage to the vehicle and the property of a third party but does not include any personal insurance for the customer including death or bodily injury to the driver nor does it cover any personal possessions. No other hire insurance is acceptable for the rental of a Bunk Camper. The hire is subject to a security deposit which covers both the insurance excess in the event of any first incident or reported incident and the proper return of the vehicle in the same condition as it was let out to the hirer. In the event of any additional incident(s), a second security deposit will be required in order to continue with the rental. The security deposit is taken as a pre-authorisation on the hirer’s credit or debit card at the time of collection (Visa or Mastercard). No other form of payment is accepted and pre-paid currency cards cannot be accepted. The card used for the security deposit should be in the lead driver’s name and the amount will be held on your card immediately. Please note, Bunk Campers reserve the right to increase the insurance excess. 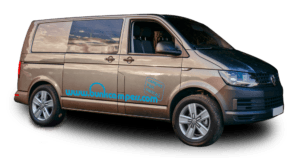 Security deposits are authorised in Euros (€) at Bunk Campers Dublin Depot and in GBP Pounds Sterling (£) in all Bunk Campers UK Depots. Bunk Campers are not responsible for any fluctuations in exchange rate or international banking fees imposed by your own bank which affect the final cost deducted from your account. This security deposit will be used to fund any loss or damage what so ever to equipment, fixtures, fittings, windows, cleaning fees, tyres or negligent damage to the vehicle. A £45/€55 administration fee will be applied in addition to any costs for any loss or damage to your vehicle or any item contained within. The security deposit will be used to fund any road traffic violation administration fees. The security deposit will be used to fund any cleaning fees. A nominated valeting fee of up to £150/€195 will be charged against the deposit if the vehicle is not returned with the interior and exterior in a clean condition. An additional fee of £100 /€130 will be charged against the deposit if the toilet and waste tank are not emptied and cleaned prior to the return of the vehicle. An additional fee of £100 will be charged if it is found that smoking has been permitted in the vehicle. An additional £150/€195 will be charged if an unauthorised pet has been carried in the vehicle. The security deposit will be used to fund any refuelling costs arising from not returning the vehicle with a full tank of fuel. A £45/€55 administration fee will be applied in addition to any costs for refuelling. The hirer agrees to pay Bunk Campers any additional costs over and above the security deposit value should damages exceed the security deposit value within 28 days of your hire. The hirer irrevocably authorises Bunk Campers to deduct from the security deposit any amounts due to Bunk Campers arising out of this agreement. In the event of an insurance claim, regardless of fault, the security deposit will be retained until the insurers have settled the claim. Please note, this can be a lengthy process and is out of Bunk Campers control. The following are not covered by insurance, therefore the hirer accepts full liability for these, which is in addition to the standard vehicle excess/security deposit should that apply. Mechanical problems E.g. clutch/gearbox due to driver negligence. Any damage caused by a negligent act. Replacement or repair of aerials, glass, wheels or incorrect fuelling. Missing wheel trims, tools or spares. Damage to the underside of the vehicle or the roof, which includes the overhead “Luton” area, is not covered under any insurance and any damage to these areas is deemed as gross negligence. Any such damage will be charged at a fixed cost of £2500/€3250 plus the full insurance excess on your vehicle. The theft of a Bunk Camper will not be covered by insurance if the keys are left in the ignition or in or on the vehicle whilst unoccupied and the hirer shall be held fully responsible for a replacement vehicle. Windscreen, mirrors and/or tyre damage is not covered by the standard vehicle insurance or excess reduction options but can be covered under the Special Cover package. Insurance for an additional driver is charged at £10/€13 per day. Maximum 3 additional drivers. Insurance for driver(s) aged over 21 years to 24 years is charged additionally at £20/€26 per day. Insurance for driver(s) aged over 70 years to 74 years is charged additionally at £20/€26 per day. An additional premium of £3/€3.50 per endorsement per day applies to any driver with penalty points/convictions on their driving licence dated within 5 years from the commencement of the hire. The COLLISION DAMAGE WAIVER (CDW) is an optional protection package that reduces the security deposit/insurance excess. This can be purchased at the time of booking or on collection of your vehicle. See website for current price. Purchase of the CDW reduces the standard excess by 50% or 75% (depending on level purchased) for the first reported incident or damage caused in a collision to either the vehicle or third party property. Once an incident has occurred, CDW will be cancelled and the full security deposit amount will be due for any subsequent incidents. A second authorisation will be required at the time. CDW is not available to drivers less than 25 years of age or 70 years old and above. Special cover is an optional protection package that covers replacement or repair to windscreen, external mirror or tyre damage. This can be purchased at time of booking online or on collection of your vehicle. Please note, cover is limited to 1 windscreen, 2 mirrors or 2 tyres after which normal replacement costs will be charged. See website for current price. Please see Bunk Campers website for current prices. A camping gas canister will be included in the rental and provided on collection. Only customers who have pre-paid for gas will receive a full canister of camping gas. Additional gas purchased throughout the rental period is at the customer’s own expense. Collection and return of the BUNK CAMPER is to the agreed location specified at time of booking as set out under ‘hire period’ in the rental agreement. One way and relocation fees apply. Current charges are displayed on the Bunk Campers website. Collection: Collection of the Bunk Camper is between 3-5PM unless otherwise agreed by Bunk Campers and any additional premiums paid. Please allow 1-2 hours in order to complete all paperwork and demonstrate the vehicle to you. The security deposit payment (standard excess) is payable by credit or debit card only on collection. This covers insurance excess, security deposit and cleaning deposit. All drivers must be present on collection of the motorhome and must present their full valid driving licence (as outlined in section 4 of these terms and conditions), passport and credit/debit card for the security deposit. Photocopies will not be accepted. Vehicles will not be released without 2 forms of valid photo identification and funds for deposits being available on collection. The vehicle will not be released until deposit is paid. The vehicle will be handed over in a clean condition and in sound working order in accordance with the ‘Vehicle Condition Report (VCR)’. Please note, Bunk Campers make every effort to have your vehicle ready for collection at the appropriate time, however, during busy periods there may be some delays which are out of our control. 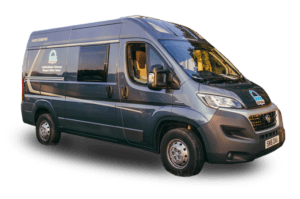 Should this be the case, no refunds will be due to you and no extension of your hire can be made as the motorhome will still be required to be returned in accordance with the details set out in your rental agreement. Return – Return of the Bunk Camper is between 9AM-11AM unless otherwise agreed and additional premiums paid. Please allow 1 hour to complete the return documentation and check the Bunk Camper. Vehicles must be returned undamaged with a full tank of fuel, with an empty toilet cassette, a clean interior and in the same condition as it left the depot. Charges will apply if the vehicle is returned with additional damage, the fuel tank is not full, the vehicle is unclean or if the toilet cassette is not empty. The exterior of the vehicle does not require cleaning unless it is covered with excess mud or dirt making it difficult for our team to see the return condition. Please note, there are no toilet cleaning facilities at any of Bunk Campers depots so toilets and waste tanks must be cleaned prior to returning the campervan. There are no refunds for early returns. Charges apply for late returns. Should for any reason, the hirer fails to return the vehicle to the agreed Bunk Campers depot, the hirer accepts that he or she is liable for the full cost to recover the vehicle back to the Bunk Campers depot and for any daily rental fees for the vehicle for the period which it is off the road as the result of not returning the vehicle to the depot by the agreed return time. Late Return – Bunk Campers must be notified immediately to prevent any prosecution for driver(s) driving whilst uninsured. Late returns will be charged at one day’s rental cost regardless of circumstances. If you wish to collect or return the vehicle outside of the collection or return times above, please contact on [email protected] before making your booking for information on pricing for out of hours service. There are no out of hours service available on Sundays. There is an additional charge of £10/€13 per day to travel in Mainland Europe in a Bunk Camper. 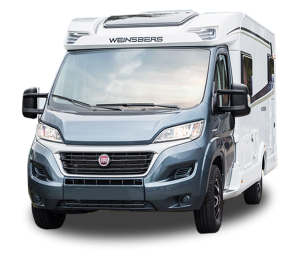 European cover is mandatory for travel to Mainland Europe and you will be in breach of these terms and conditions should you take a motorhome into Mainland Europe without purchasing the European cover. European cover must be booked at least 14 days in advance and cannot be added at check-in. European cover is not available to drivers aged 21-24 years old. Travel outside of these countries in a Bunk Camper will be in breach of your terms and conditions and you will not be covered by any insurance. Please check your route carefully. All road tolls in European countries are payable by the hirer, in the event that a toll has not been paid, a £45 /€55 administration fee will be charged for processing the relevant paperwork and the toll will remain the hirer’s responsibility. Hirer does not provide a valid passport and driving licence as proof of ID. If Named Driving Licence is not produced or valid in accordance with stated conditions. If a UK drivers fails to provide access to information on the counterpart driving licence held on the DVLA website. Hirer fails to provide funds for security deposit payment (standard excess) by credit card or debit card. Over occupancy of vehicle in accordance with the provision of seatbelts. The address on driving licence does not match billing address where additional proof of ID is not supplied. Due to operational issues affecting rental fleet. Hirer is in breach of any term in this agreement. The hirer obtained the vehicle through fraud or misrepresentation. If any statement, representation or warranty made by the hirer in respect to himself or additional drivers is incorrect. The vehicle appears to be abandoned. In the event of any damage to the vehicle regardless of fault. The vehicle is not returned at the agreed date or Bunk Campers reasonably believes the vehicle will not be returned on the agreed return date. Bunk Campers considers on reasonable grounds that the safety of passengers or the vehicle is in danger. The hirer understands that in the event of such termination or repossession that the hirer has no right to a refund or any part of the rental charges or the security deposit. In the event of an operational issue. Please note, Bunk Campers liability is limited to the refunds of all monies paid by the hirer. No compensation is available for additional arrangements booked by hirer (e.g. : flights, concert tickets). Bunk Campers reserve the right to amend our cancellation policy for certain events. 4 weeks prior to rental to no show: 100% of total hire charge. 6 weeks to 4 weeks prior to rental: 50% of total hire charge. More than 6 weeks prior to rental: 20% of total hire charge. Credit card and debit card charges are non-refundable. An administration fee of £45 /€55 will be charged on the processing of any refund. Please note, no refund is available on any of Bunk Campers low cost relocation deals. Customers are advised to check their own travel insurance policy in the event of a cancellation by the hirer. Amendments to reservation dates within the calendar year, vehicle type or collection/return location will be accommodated where possible and are subject to availability and any increase in price. A £45/€55 administration fee applies to any changes. No refund will be given if the value of the hire for the new dates, pick-up/drop-off location or vehicle type is of lesser value than the original booking. 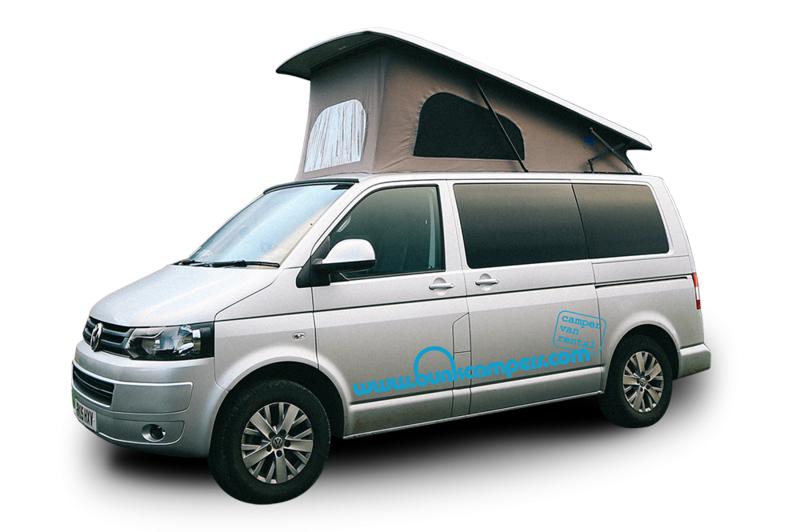 Every effort will be made by Bunk Campers to ensure you receive the campervan type ordered. However, Bunk Campers reserves the absolute right to change your campervan type or its specification in the event of an operational issue. Such substitution shall not entitle you to any refund and does not constitute a breach of this Agreement. The hirer is not liable for any increased rental charges from the substitute vehicle. The hirer is liable for any additional running costs pertaining to the substitute vehicle. No other refund will be available including compensation for additional arrangements booked by hirer (e.g. : flights, hotels, concert tickets). 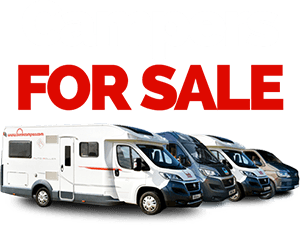 Prior to the collection of your vehicle, Bunk Campers carry out a full inspection of all onboard components to ensure they function correctly. On collection, you will be shown how each component operates and what to look for if a system fails during the hire. Bunk Campers will do everything possible to resolve the issue without having to return to the depot, however, this is not always possible, and Bunk Campers cannot be held responsible should any loss of function happen and are not liable to refund any monies nor provide an alternative vehicle. In the case of winter hire, Bunk Campers cannot be held responsible in the event of any damage or inconveniences caused by freezing conditions. This is the responsibility of the hirer. Should the hirer’s motorhome holiday be disrupted by a mechanical breakdown/motorhome system malfunction (which does not extend to accident or damaged caused by the hirer), for more than 48 hours after reporting to Bunk Campers, the renter will be reimbursed up to a maximum of the gross nightly rental rate for each night affected until the problem is rectified. Failure of mechanical and motorhome systems which includes cabin heating/hot water, water pump, shower, toilet, refrigerator, gas hob/oven must be assessed by the depot or authorised repairer. Reimbursement is only possible when Bunk Campers has been contacted to rectify the problem and the hirer cooperates to do so. Failure to notify Bunk Campers acknowledges that the issues are of such a minor nature that the hirer makes no claim for loss of time in respect to the rental. Defects and repairs of radio/CD player, reversing camera, cruise control, etc are considered minor and are excluded from the Holiday Disruption Coverage. Driven other than in a cautious, prudent and normal manner or used in a manner which could cause damage. Driven in a prohibited area. Driven by a person under the influence of alcohol or drugs or with a blood alcohol level in excess of that permitted by law. Driven by a person who is unauthorised to drive the vehicle as set out under the heading ‘Driver details’ of the Bunk Camper Rental Agreement. Driven by any person who is not authorised by law to drive the vehicle. Used to carry more persons in accordance with the provision of seatbelts in a Bunk Camper. Left with the ignition key in or on the vehicle or unlocked while it is unoccupied (invalidates insurance). Damaged by submersion in water or in contact with salt water. Used for any illegal purpose for any race, rally or contest. Used to tow any vehicle or trailer. Used to carry passengers or property for hire or reward. Used to carry volatile liquids, gases, explosives or other corrosive or inflammable material. Driven on any road surfaces other than sealed / bitumen roads. Driving is not permitted on the Connor Pass, County Kerry, Ireland. I understand that Bunk Campers reserves the right at any time, at its sole discretion, to restrict vehicle movements in certain areas due to adverse road or weather conditions or any other reasonable cause. All faults or damage must be reported immediately to Bunk Campers Vehicle Support or at the latest on return of the vehicle. 24 hour Roadside Assistance is provided under the hire contract. The hirer will take all reasonable steps to properly maintain the vehicle whilst on hire including checking oil and coolant levels, tyre pressures and batteries. The hirer acknowledges that Bunk Campers will reimburse the hirer for expenditure up to the amount of £50/ €65 reasonably incurred. Valid receipts must be provided on return of the vehicle for reimbursement. Bunk Campers Head Office must be notified by telephone for repairs in excess of this amount. Costs will not be reimbursed for any damage caused by me or caused by breach of this agreement. The hirer will be liable for any costs associated with the incorrect use of fuel. All Bunk Campers vehicles run on diesel. Acknowledge that the excess or other amount due in respect of any damage arising from an accident, loss or damage is payable at the time of reporting the event and not at the completion of the rental period, regardless of which party is at fault. Will pay any costs relating to a change of vehicle as a result of an incident regardless of which party is at fault. Accept that no security deposit/excess will be refunded until the claim is settled. Driver(s) are personally liable for all legal penalties and fees pertaining to any traffic violation infringements under the current Road Traffic Legislation applicable in the United Kingdom including Northern Ireland and the Republic of Ireland. 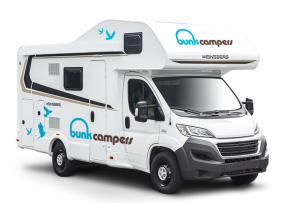 Bunk Campers will contact the customer after the rental agreement finishes if any traffic violation infringements are presented to Bunk Campers for your hire period. The driver(s) will be liable for any penalties and fees pertaining to any traffic violation that has been incurred during their hire period. 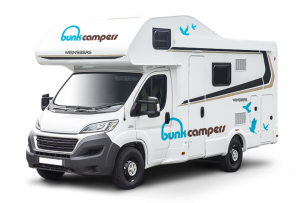 Bunk Campers will notify the driver(s) of any speeding or parking fines and an administration charge of £45/€55 for each infringement incurred throughout the hire period which the hirer is liable for. 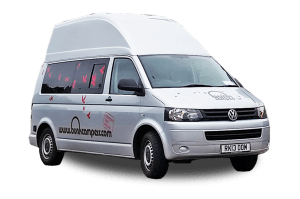 The company’s camper van rental agreement is the sole contract for hiring the vehicle between Bunk Campers and the hirer(s), driver(s) and/or passenger(s). The company takes no responsibility for any delay, loss, damage or injury that a hirer might experience no matter how it is caused or by whom. No refunds are payable on accommodation or other arrangements by Bunk Campers where a hirer or passenger changes, cancels or seeks to vary this agreement. These conditions cannot be varied or altered or waived by any employee or representative of Bunk Campers or by anyone providing services or facilities. The company cannot be bound by any representative or statement unless it is confirmed in writing by Bunk Campers’ management. Smoking is not permitted in any Bunk Campers vehicle. Bunk Campers reserves the right to impose additional cleaning charges should smoke be detected in the vehicle. Animals are not permitted in any Bunk Campers vehicle unless agreed with Bunk Campers and an additional premium been paid. All faults or damage must be reported immediately to vehicle support or at the latest on return of the vehicle. In the event that a complaint is not satisfactorily resolved upon return, the hirer must inform Bunk Campers by email to [email protected] within 14 days of returning the vehicle. 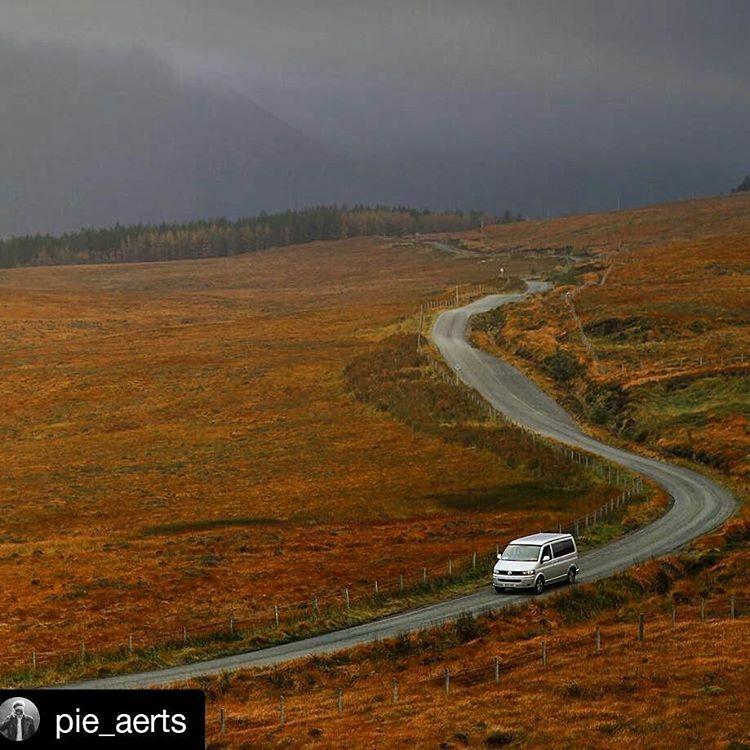 February 28, 2019 St Patrick’s Day Campervan Hire from €50 Per Day!